My daughter at one-day old with her maternal great-grandmother. Her Noni, in Eugene, Oregon 1998. Pearl at 2 months. Lazy summer days watching her grow. June 21, 1998 was the first time I met the young woman who had chosen me and my then husband to parent her unborn child. 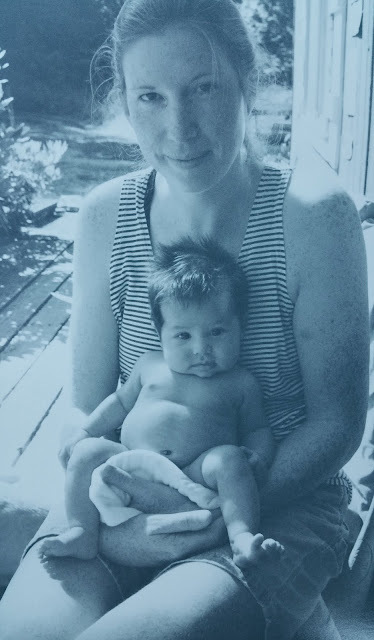 She was 19 yrs old and 9 months pregnant and she had chosen us from a pool of waiting couples, families, and people hoping to become parents through "Open Adoption", a fairly new concept 2 decades ago. Growing up in a northern community in British Columbia, Canada, I knew many adopted people. I could see how families were made in a multitude of ways, there was no shame in raising a child who was not your own. I knew I wanted to be a parent and when after ten years of marriage at 34, I was not able to become pregnant, I quite happily turned my attention to adoption. I learned that adoption is a complex process fraught with intense emotion and bad information. When I began looking into it I ran up against quite a lot of bias and horror stories about all the ways it might go wrong. I spoke to multiple agencies who championed the process from many different angles with many different approaches. There were female children in India and China who were available for adoption, there were kids with extra needs, there were religious organizations doing the hard work of finding stable homes for waiting kids. None of these appealed to me despite some very convincing, almost militant representatives. The problem I had with the international adoption model was just that, the distance. I worried about the impact being taken so far away from home might have on a child. I knew I probably couldn't maintain that important connection to home a child from far away would need. I wasn't suited to a special needs adoption either. The kindest part of my journey was speaking to women who had adopted children with special needs and hearing them vehemently say don't take this on if it's not for you, totally without judgement. The world is a better place because of those families who often take on several children with special needs at a time. They are generous beyond compare. Then there is the issue of race and the notion of time. If you wanted a baby quickly, bi-racial was the way to go. If you wanted an all white child it might take longer. When I looked into my heart I knew I would only raise one child and I wanted the experience to be the best it could be. Through an acquaintance I found Open Adoption and Family Services based in Oregon and I began the process with them in November of 1997. OAFS were leaders at that time in promoting an open model that supports the birth parents in their choice of adoption, a framework is created between parents and birth parents where the whole child is celebrated. That June day in Eugene when we met my daughters birthmother she glowed with the fullness of the life she was about to give birth to. We sat in a restaurant downtown and talked about her plans for her life and her child's life. She did have plans to have a family at some point but not at age 19 on her own. She was young but steadfast and we talked about what the openness might look like in our case. She wanted to be a special friend to her child and she wanted her extended family to know her as well. Sitting there together as strangers, we imagined a future full of unknown scenarios and bravely moved forward. On July 16th, a perfect healthy baby girl came into the world met by a waiting family with a plan to surround her with love. 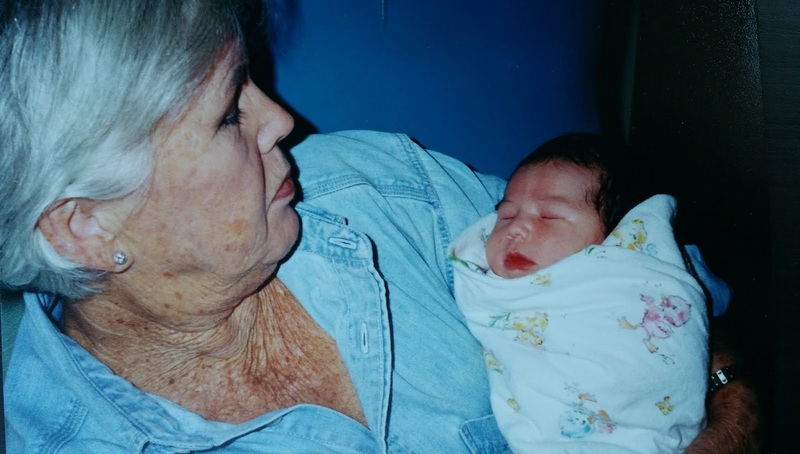 Noni, and Pearl at 20. 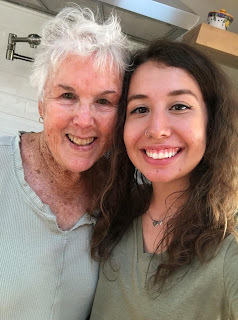 My daughter turned 20 on Monday and she spent this birthday with her birthmother in California. A perfect full circle moment. I'm so proud of what I have been able create with this beautiful kid and grateful for the great group of people she has around her. I dreamed it and a clairvoyant 19 yr old made it all happen. I did my best to make her proud. Thanks B! For other stories on this topic click here.